MailChimp has the best free subscription plan of any email marketing service provider out there. Along with the long list of features including unlimited image hosting, Google Analytics and the integration with hundreds of apps, MailChimp is an excellent choice for beginners or those who have limited funding. However, based on numerous customer reviews we’ve found, you may want to look elsewhere for more advanced features. Here, we give you the information you need to make the best decision about whether MailChimp is right for you. Is MailChimp Right For You? MailChimp has many features that appeal to email marketers including its new automation feature and the capability to set up a multi-user account. MailChimp Coupon Scanner is also available through the merge tags, and this feature allows store owners to send QR code coupons to their subscribers. 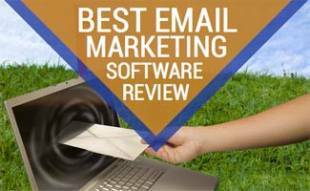 MailChimp offers the best free plan for the price, number of subscribers/emails sent, and variety of features than any other email marketing service. They also provide monthly pricing and pay as you go fees for those who need more than what you can do with the free plan. One of the great things about MailChimp is their Forever Free plan. You get up to 2,000 subscribers and 12,000 emails you can send each month, no credit card required. It’s great for low-volume senders, beginners or nonprofits who don’t have the budget for more. For only $10/month you can get more features including automation, delivery by time-zone, chat support and more. With MailChimp’s monthly subscriptions you pay per number of contacts, but you get an unlimited number of emails you can send each month. MailChimp gives you the option of buying packages of email credits, which you use like postage stamps. These can be a great option if you’re on the free plan but occasionally need to send more emails than the 12,000 limit. You can add Pro to your plan for $199 per month. Pro provides analytics tools to help grow your business. 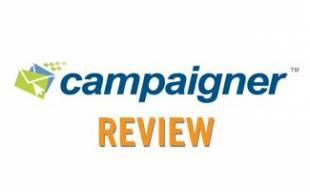 What Are Users Saying About MailChimp? We scoured the web to find out how real users rate MailChimp. Here are some of the reviews we’ve found to give you an overall picture of MailChimp, from the customers’ perspectives. Want To Use Facebook Ads? A stat from HubSpot in 2016 states that in the past 2 years, content consumption on Facebook has increased 57%. So, what are you waiting for? You can use Facebook ads with MailChimp. Just watch the video below for a brief overview. 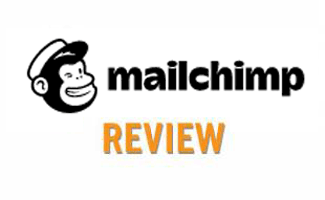 Is MailChimp The Email Marketing Service For You? If you’re just starting out with email marketing, first check out our all-inclusive guide, and then you’ll probably want to check out MailChimp’s Forever Free plan. Its monthly paid subscriptions are competitively priced. However, if you’re a larger business or just need more advanced features, you may want to look elsewhere. It comes down to your specific needs. See how MailChimp compares to the competition with our email marketing service comparison. What do you think about MailChimp? Solid review. I used to use Mailchimp when I was first getting started with email marketing, but now it doesn’t have the functionality to handle my needs anymore. I’ve since experienced with several other tools, and I’ve landed on GetResponse as my platform of choice. Their automation is strong, but I’m just getting my feet wet with it. Anyone have any tips? 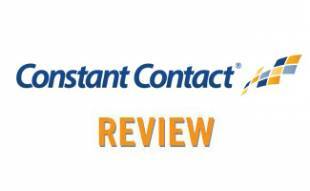 Check out our GetResponse Review and comments section for any inside scoop about GetResponse. One issue that is not mentioned in the review is that even when a MailChimp sender is added to a user’s safe sender list, the images in MailChimp emails will not display correctly in PC-based Outlook (all versions)unless the user manually clicks the download link. This is because the “From” address changes with each email campaign sent. MailChimp uses different servers and you, the customer, have no control over it. It doesn’t matter how many times the recipient adds the sender to the safe sender list. MailChimp does this to catch spammers, but what it means in practice is that you can create the most beautiful email template in the world, but your recipients will never see it unless they click to view the images in the email (or click through to the web version), an extra step that many won’t bother with.